(Nashville, TN) – District Attorney Glenn Funk has appointed veteran attorney Ana Escobar to head the DA’s domestic violence unit. As team leader, Escobar will lead nine lawyers in prosecuting cases and assisting victims. “Ana is a respected and compassionate advocate who will work to ensure immediate and consistent professional support for victims of domestic violence and accountability for offenders,” District Attorney Funk said. Escobar was sworn in as Assistant District Attorney in March 2015. 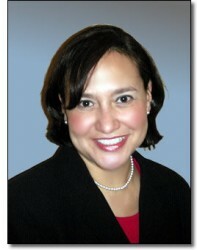 She previously served as Deputy Director of the Administrative Office of the Courts and as Metropolitan Nashville Clerk. She also created MyCity Academy, an initiative of the mayor’s office to assist new immigrants to Nashville. Escobar is a graduate of George Washington University Law School and Vanderbilt University. In Davidson County, half of all violent crime is domestic related. More than 5,400 domestic violence cases were prosecuted last year. At that time, Funk increased the number of attorneys handling domestic violence cases and announced the creation of a new investigative division to focus on prosecution support. The unit is also staffed with victim-witness coordinators who work directly with victims as their cases go through the court system.